Oooh, i didn't realise you knit! I love the stripes, gorgeous colours. I'm totally drawn to the kitties and birds!! So cute. Abd perhaps if I start that jumper now, it would be done by the time Adelaide's four! Looks like a great book. 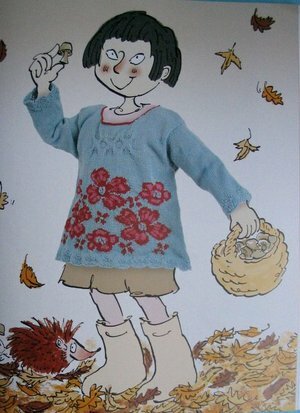 Love the pictures you posted - especially the blue jumper with flowers (and hedgehog). 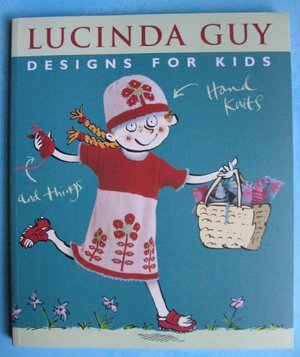 I'm sold - I am going to get that book this weekend, if only for the posies! Look at the kitties! I love this! I can't wait to learn to knit something like this! Oh my, I love that book. 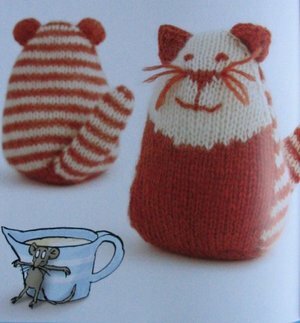 I especially love the illustration of the mousie hiding from the cats behind the cup! Thanks for pointing this out, yet another book to add to my to-buy list. Your jumper is beautiful, the colors are so fun! 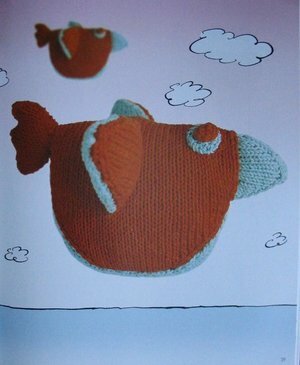 i don't even knit and i want the book! oh! that book looks great...must add that to list. 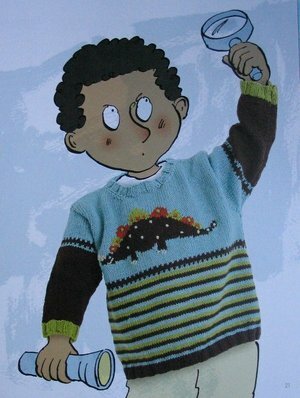 and the jumper looks like it will be beautiful! Another book to add to my wishlist! 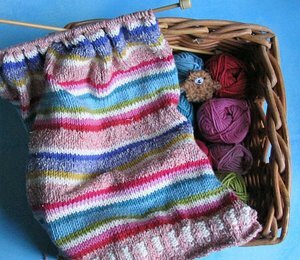 Molly's jumper looks gorgeous so far, love the colours you've chosen! You do such lovely work! So glad I came across you blog! This book looks good!! But for me...knitting is sooo hard. I don't have patience. This post may just push me over the edge! I am SO trying NOT to start a new hobby...it's not that I can't knit...it's that I have so many other things (mostly half-done) in front of me right now. This book though, has me looking for a hobby re-hab center to check into! What a pretty jumper, beautiful colors. I am also knitting something two sizes too large for my daughter. I will have to look for the book, the projects don't look *terribly* hard. Thanks for posting pix from the book. 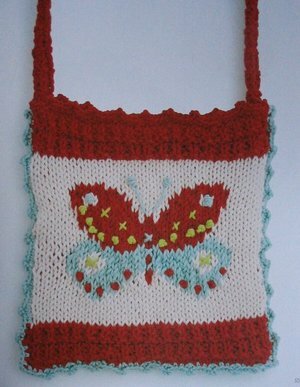 I've seen it on lots of knitty blogs, but you're the first to post the pix inside. Thanks. I love it! 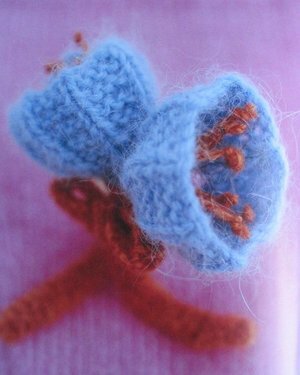 KNITTED POSIES!!! 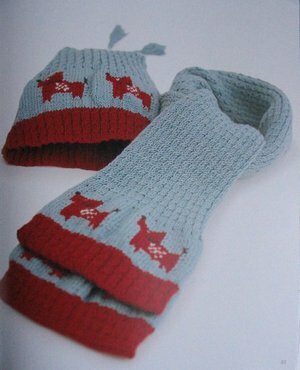 i think i am going to say that those sweet little posies are the best thing i've ever seen in knit form! 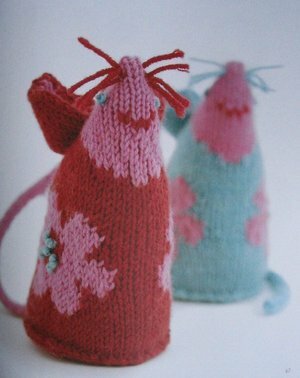 the little mice are pretty darn cute as well!